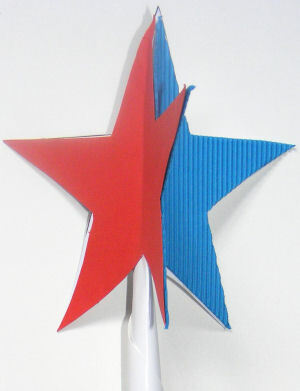 Our 3D star wand, ready to wave! Roll your A5 card at a diagonal to form a tube. Tape to secure, and flatten one end. Cut 3 large stars. 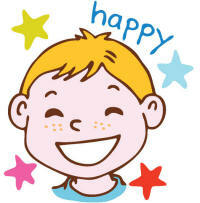 You can use our star template if you like. Tape the flattened tube to the back of one star. Fold each star down the centre. Glue the stars back to back so they form a 3 sided star. Leave to dry.